When a product touts itself as a miracle, I’m usually pretty dubious. It sounds like a claim made on one of those late night shopping programmes – and really, when did they ever sell anything really worth having? 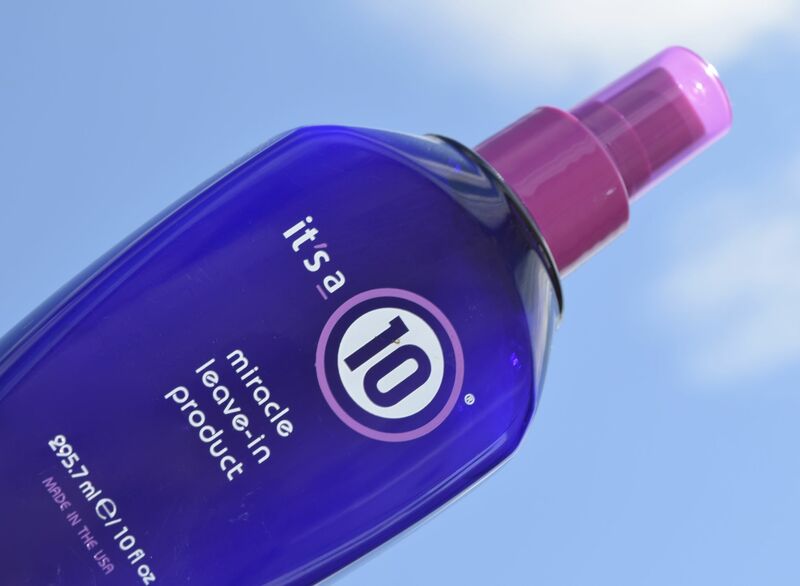 But this is the exception to the rule, it is, in fact, a miracle product – especially if you’ve got blonde or damaged hair. It was first recommended to me by uber-colorist Kyle White in New York. He is, undoubtedly the king of blondes, and I’ve never been happier with my hair than when he’s done it. No joke – every.single.time I’ve been in New York, I’ve made my pilgrimage to the Oscar Blandi salon – it’s a must visit! Even if I can’t always be a Kyle-blonde, I do try and follow his advice at all times – which is where It’s a 10 comes in. Not always the easiest product to find in the UK, I tend to pick mine up on Amazon, and after washing my hair (currently I’m using Kerastase Bain Satin 2 and this Fekkai conditioner) I spritz my hair from root to tip with the stuff, then comb through. 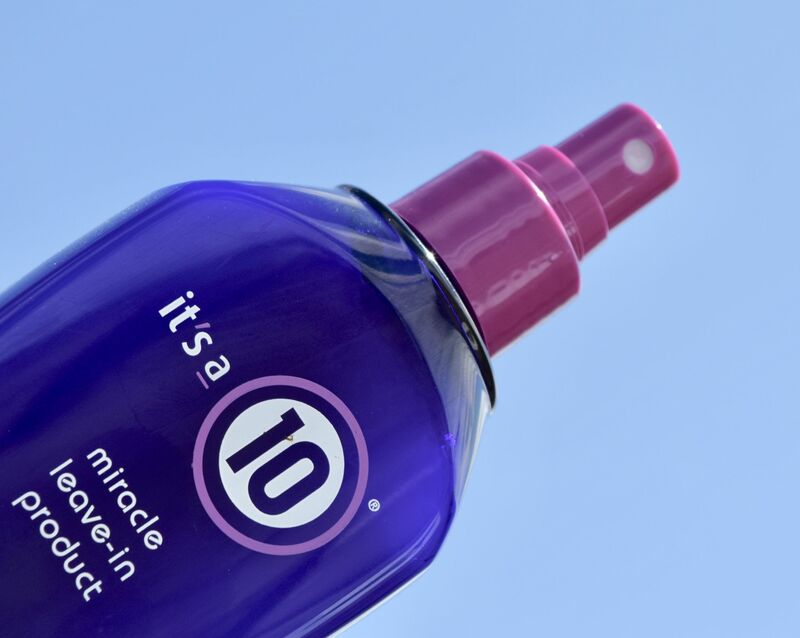 It’s a 10 has a light, almost conditioner-like consistency, and my hair completely soaks the stuff up. I then apply a little styling creme to the ends, and blow dry as normal. The result is hair which looks and feels so much healthier. It’s softer and shinier, and it’s also a whole lot smoother to boot. Through regular use, it keeps hair healthier and feeling stronger, and there is even sunscreen in the formula, so it’s perfect for summer use! The other benefit? It’s also super affordable!